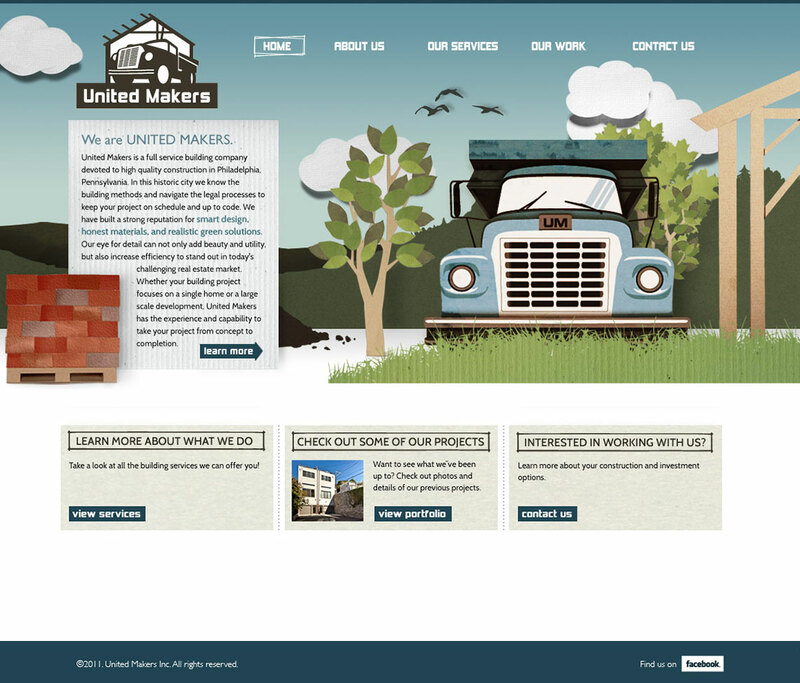 When Henry of United Makers approached me to brand their company and create the company site, I knew I was being handed an opportunity to get super creative! 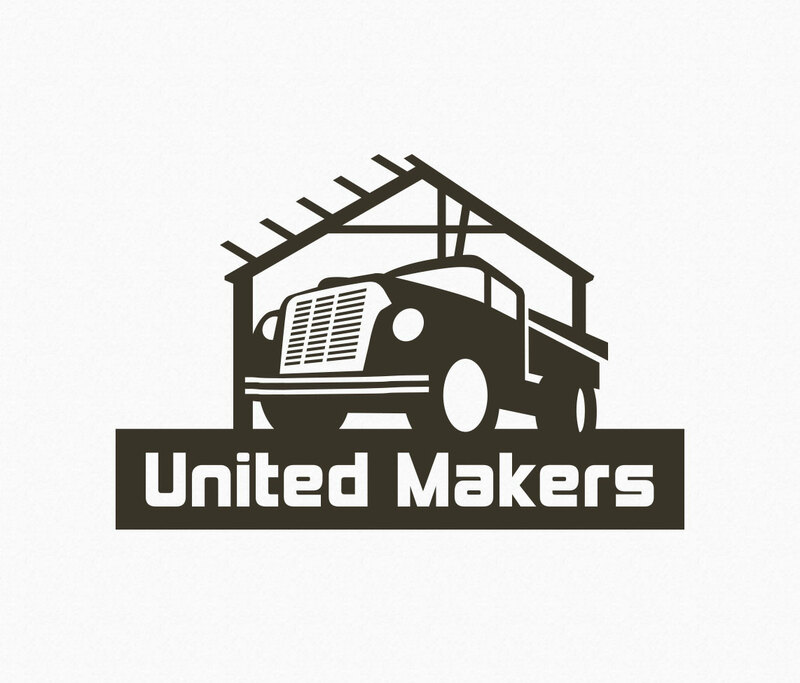 I have always had a love for paper, and I wanted to bridge the gap between handmade and online. 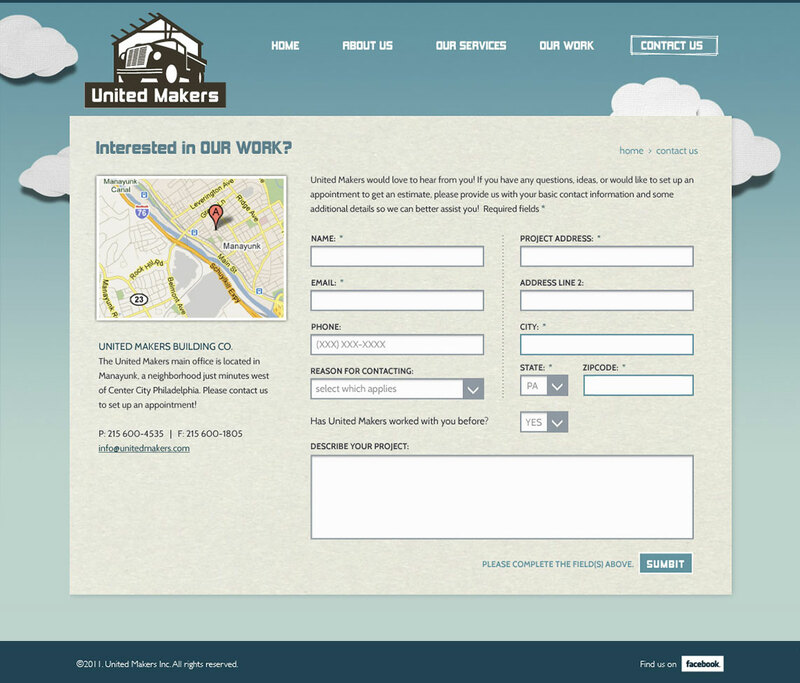 So a few sheets of 13″x19″ paper, a bottle of glue, and a camera later – unitedmakers.com was born. 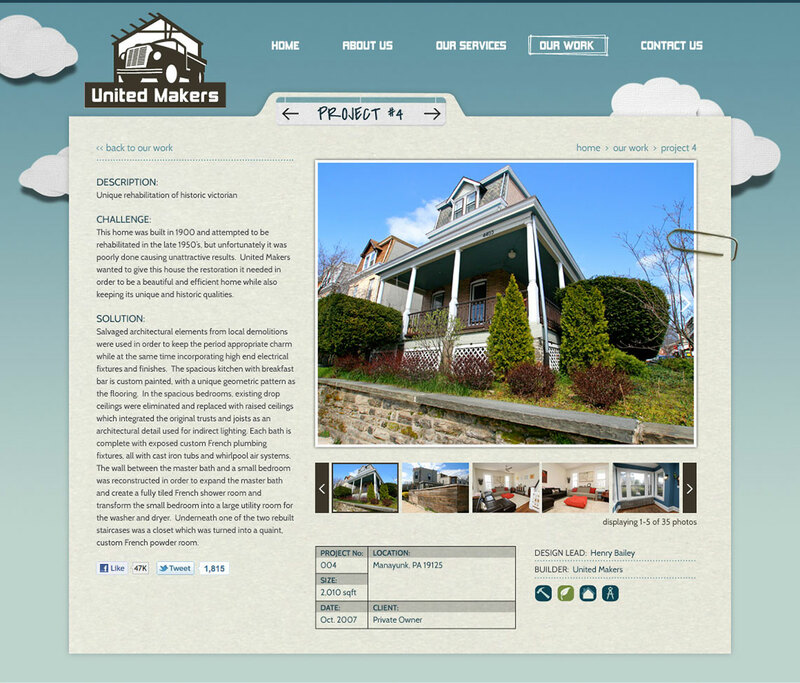 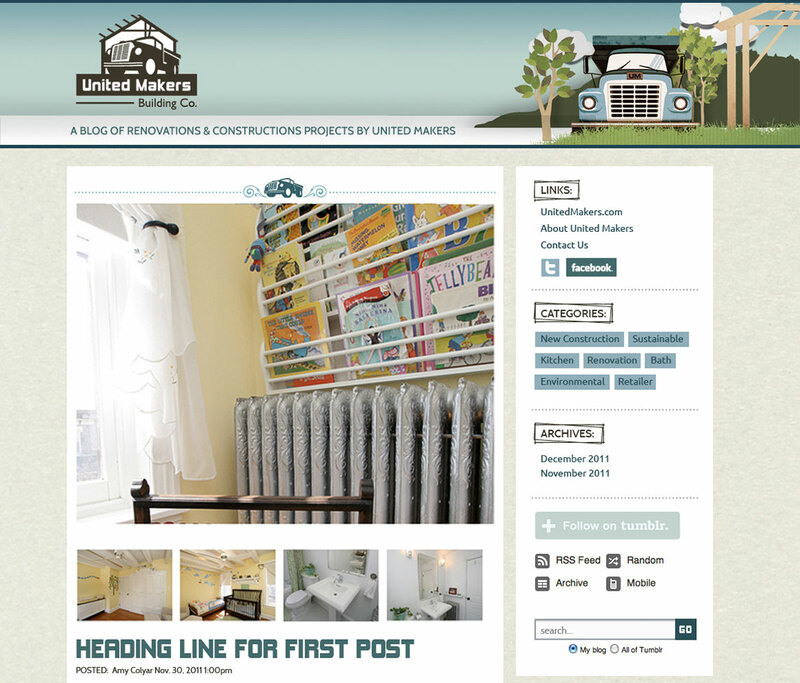 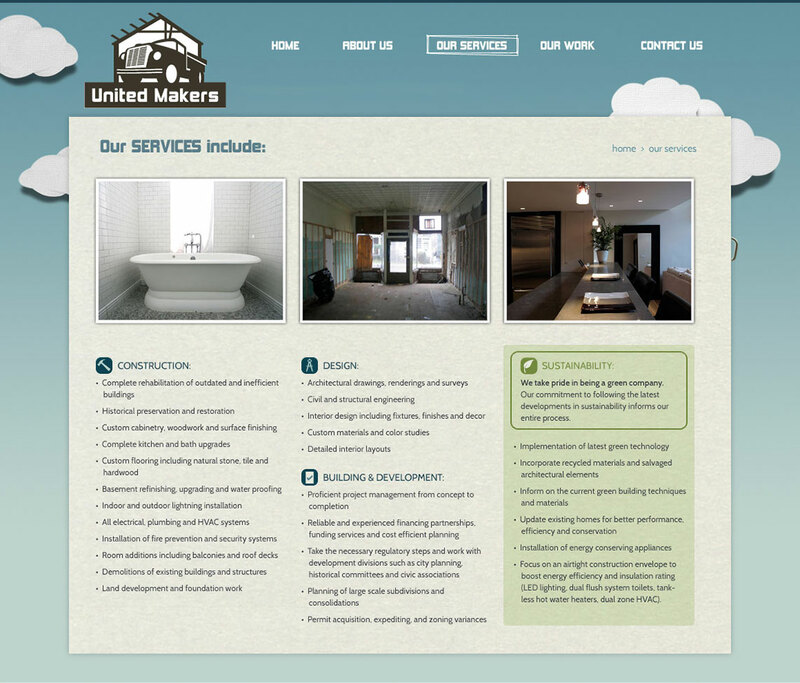 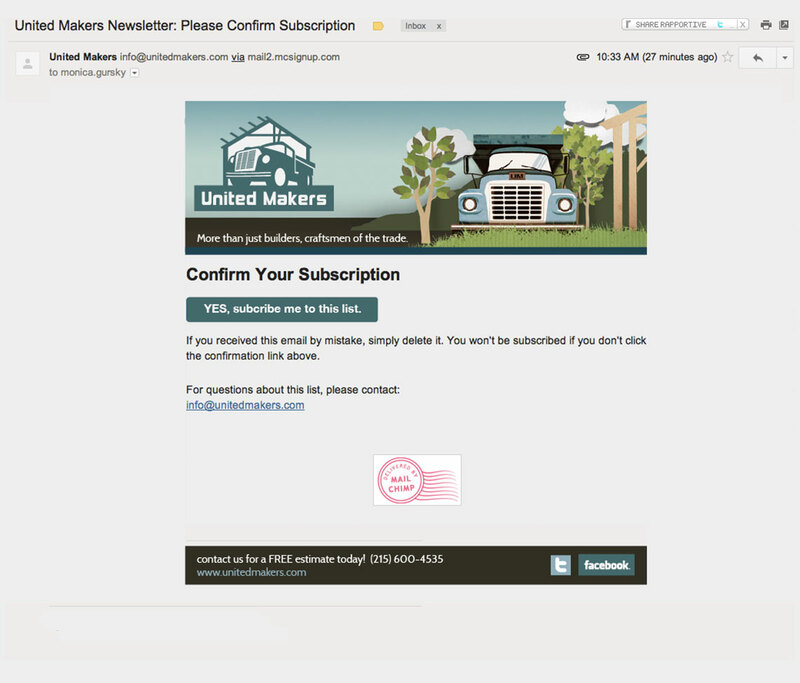 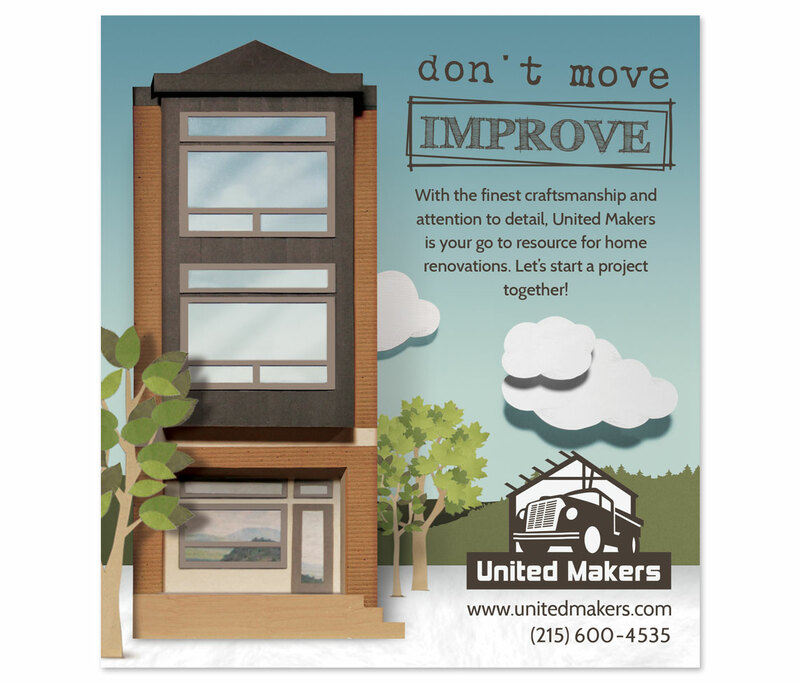 United Makers uses raw materials to create homes; I used raw materials to create their brand.